According to the Urban Dictionary, a minx is “A cheeky, flirtatious, mischevious girl.” That pretty much sums up our Computer Pixie. She should be working but what’s she doing instead? Dreaming of island vacations with an umbrella drink in hand. Here’s our very own Computer Pixie Minx. 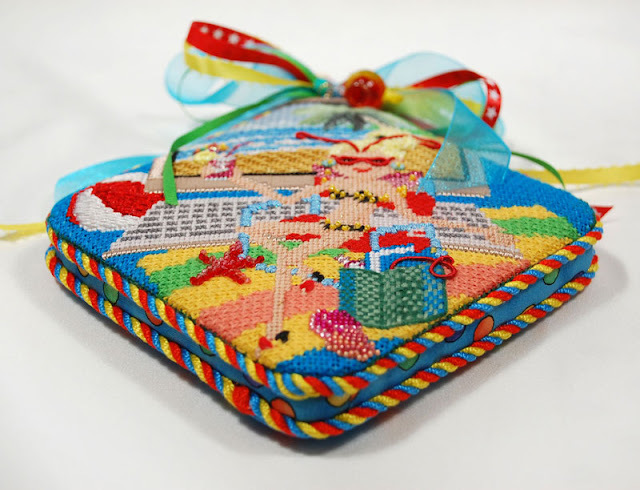 Her painted canvas comes complete with stitchguide by Sheena James. I love the details on this girl! We finished this ornament to match the Needlepoint Pixie in the new sandwich style of finishing. The extra depth really adds to the cuteness of the entire design. Terrific! Sheena did a great stitching job on your funny design and of course your finishers hit this one out of the ballpark. I love the pony tail, sunglasses and the daisy earrings, by the way. This is such a happy piece! She's charming! Great job, Sheena! She's adorable! The whole Pixie line is just fabulous. That is super stitching. 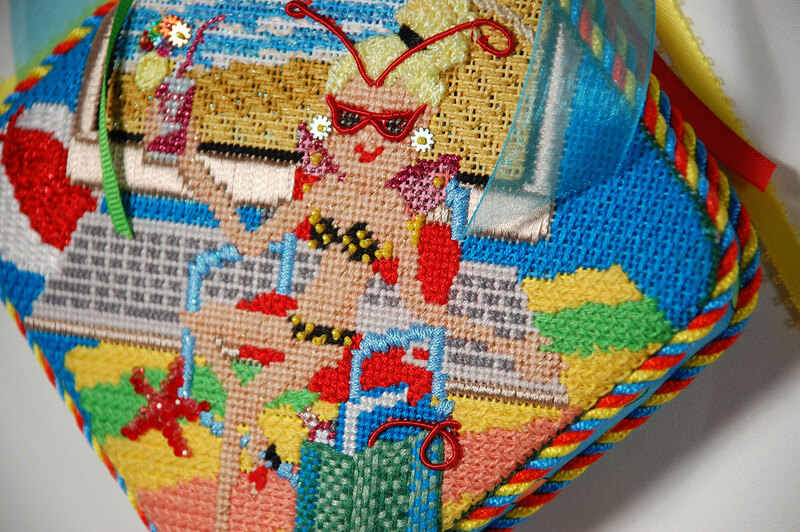 So many different stitches on such a tiny canvas… Good Job!